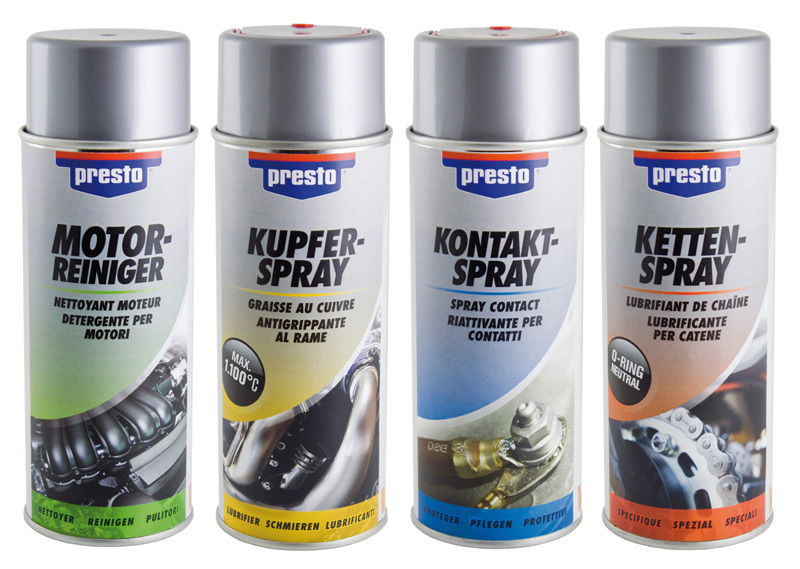 Starting from 1st of April 2011 the presto Technical Sprays present themselves to the end-consumer with new layout and improved communication. It was put even more focus on the classification in the colour guide system of the single segments "Clean", "Lube", "Care" and "Special", which creates an improved survey on this widespread assortment. At the same time the assortment offers a harmonious overall view in the sales rack or in the workshop cabinet. Emotionally appealing images from the specific field of application and clear product names allow a definite classification and enable the targeted locating of the product.